The Breamish Hall is the first hall in Northumberland to achieve this award. 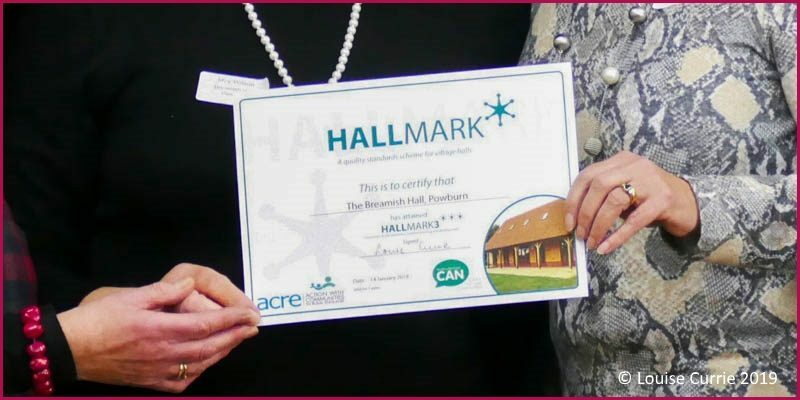 In fact, only around 50 halls have been awarded Hallmark 3 in the entire country, so it is a great achievement. What is the Hallmark Scheme? 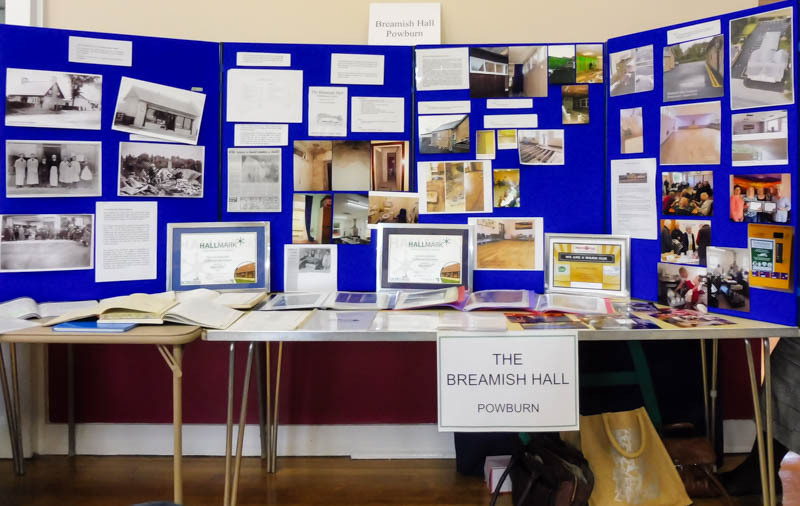 Having already achieved Hallmark 1 and Hallmark 2, Hallmark 3 focuses on the role of the hall in the local community and how it interfaces with its users and those in the wider community. 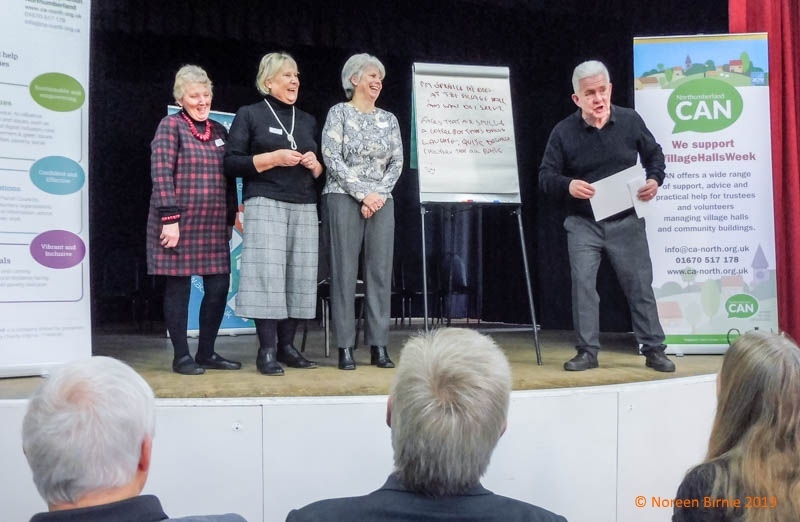 Members of the Breamish Hall Committee were presented with the Hallmark 3 certificate by poet, comedian and spoken word artist, Ian McMillan yesterday (23 January 2019) at the Community Action Northumberland #VillageHallsWeek event at Stannington Village Hall. 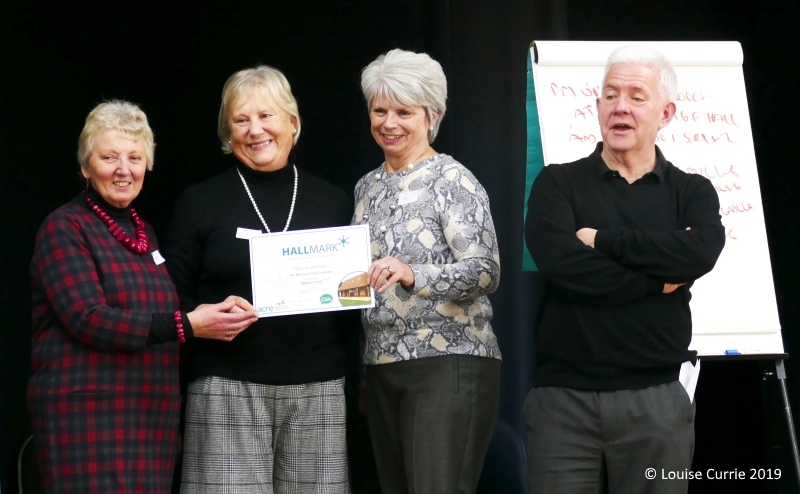 Ian McMillan presenting the Hallmark 3 Award to members of the Breamish Hall Committee: Noreen Birnie (left), May Wilson (middle) and Doreen Burn (right). We are over the moon! It has been a huge effort from all our committee and volunteers, something we have worked towards since receiving Hallmark 1 and 2. It’s a real feather in our cap. We are all very proud of our achievement. I’m sure that everyone would like to join me in congratulating everyone on the Breamish Hall Committee who has worked so hard to gain this prestigious award. It is certainly a wonderful accolade for Powburn to have the first Hallmark 3 Village Hall in Northumberland. Well done everyone!